Wireless BT headset, make everything simple. 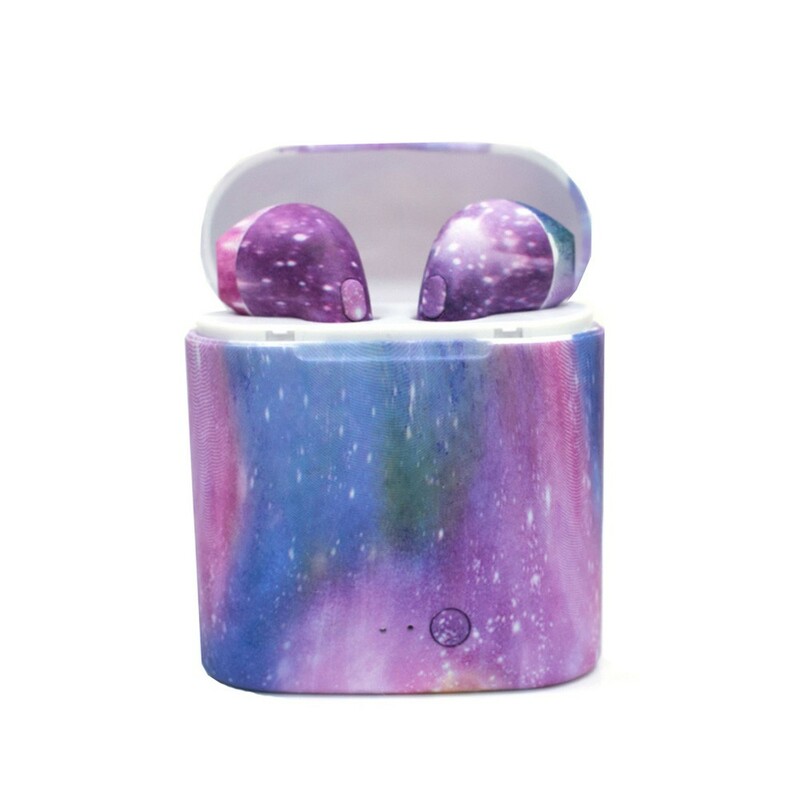 Wireless earphone, easy and lasting wearing, comfortable and fashionable. One key control, convenient and fast. With its own charging bay, you can charge your headphones anywhere and anytime. Wireless earphone, easy and lasting wearing, comfortable and fashionable. One key control, convenient and fast. With its own charging bay, you can charge your headphones anywhere and anytime. A single phone can connect to a mobile phone, and two headphones can connect to the phone at the same time. Use headphones at the same time and connect to a cell phone so you can listen to a song with a friend. Calls are clearer and smoother, voice transmissions faster. Telex Numbers, all - intelligent voice prompts. Start up, pair up, shut down, disconnect, low battery cell phone will have voice prompt.